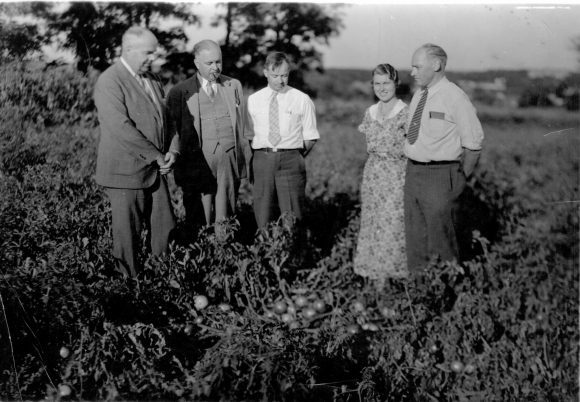 Share the post "What’s in Season from the Garden State: The Historic Rutgers Tomato Gets Re-invented in University’s 250th Anniversary Year"
Breeder of the ‘Rutgers’ tomato Lyman Schermerhorn (left) in a field of tomatoes (circa 1930s). Of the hundreds of varieties of tomatoes grown by home gardeners or commercial growers, there are a few standards that have become household names. One of those is the ‘Rutgers’ tomato – a leading home garden and processing variety of the early/mid-20th century. While the Rutgers tomato is no longer commercially grown for canned tomato production, it is still a favorite among home gardeners and widely available from seed catalogs and garden centers. The development of the Rutgers tomato is a lesson in the history of the early 20th century industries of canning and agriculture and a chapter in the story of the famed Jersey tomato. Introduced in 1934 by Rutgers vegetable breeder Lyman Schermerhorn, the variety was named for the university where it was developed. The name, however, belies the tomato’s origins, for the original cross was made at the Campbell Soup Company in 1928, with leading processing tomatoes as the parent varieties. In cooperation with Campbell’s, Schermerhorn selected the best plants from the cross and for the next six years conducted field tests on New Jersey farms and made further selections until in 1934 the most superior selection was released as the ‘Rutgers’ tomato. 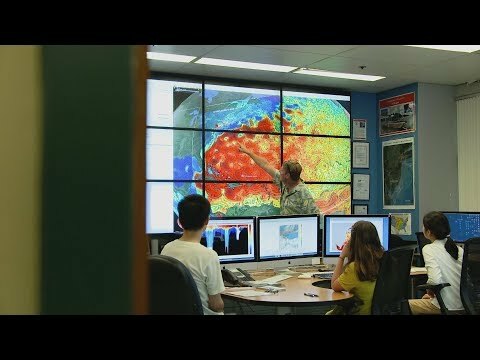 The New Jersey Agricultural Experiment Station was established at Rutgers University in 1880 and conducted research and education for New Jersey’s farmers. Early work on tomato production focused on cultural practices for controlling weeds, diseases and insects and improving fertilization. In 1900, tomato breeding began by growing nearly all the commercial varieties of tomatoes and crossing many of the different varieties. Schermerhorn, who was appointed as vegetable specialist in 1914, and worked on asparagus and rhubarb breeding, began the breeding of improved tomato varieties in 1926 – this was the height of the era when canning companies were turning to produce the new hit product: tomato juice. Marker from university field trial of Rutgers tomato. Not only was Rutgers a top performing tomato for New Jersey’s processors, from Campbell Soup, Heinz, Hunt, and Ritter to smaller companies, but Rutgers tomato continued to be a preferred choice of commercial growers through much of the mid-twentieth century. It was documented in 1948 that the Rutgers tomato made up 60 – 70% of the acreage of tomatoes in the U.S. and New Jersey. According to Smith, by 1952, the Rutgers tomato represented 72% of all commercially grown tomatoes in the U.S. and was widely grown in other countries. A few years later California turned to new varieties that withstood mechanical harvesting, but the Rutgers tomato remained an important variety in New Jersey. In addition to its widespread use, the Rutgers tomato was used in breeding and selection of other improved varieties. Many of these “spin-off” varieties retained Rutgers in the name, such as ‘Rutgers Select’, ‘Rutgers Hybrid F’, ‘Rutgers Hybrid VF’, ‘Rutgers California Supreme’, ‘Rutgers Improved PS’, and ‘Rutgers Space Select’. Although Schermerhorn maintained certified seed stock of Rutgers at NJAES through 1951, the original Rutgers tomato line was not later maintained at the University, and the modern seeds sold today most likely are derivative selections, possibly even different cultivars, from the original. 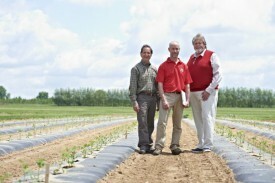 NJAES faculty working on tomato variety research (left to right): Jack Rabin, Peter Nitzsche, and Tom Orton. Photo courtesy of New Jersey Monthly. As a result of the derivations of the Rutgers tomato since the original 1934 release, the present day vegetable researchers at Rutgers sought to re-create the original strain. This was made possible when Rutgers professor of plant breeding Tom Orton, Pete Nitzsche, agricultural agent of Rutgers Cooperative Extension of Morris County and Jack Rabin, associate director of NJAES farm programs, worked on a research project with Campbell’s Soup in 2010. A discussion with Campbell’s personnel revealed that the company had preserved historic seeds in a temperature-controlled vault. Included in that collection were JTD and Marglobe tomato seeds. 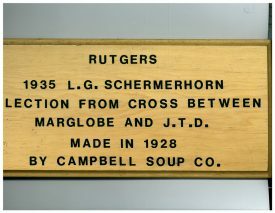 Once Campbell’s provided the Rutgers team with Marglobe and JTD seed, the possibility of recreating the cross of the original Rutgers tomato, or an improved version of it, became a reality. From field trials of cross-pollinated Marglobe and JTD tomato plants at the Rutgers Snyder Research Farm in Pittstown, NJ, Orton and Nitzsche selected the most promising plants that best resembled the documented attributes of the original Rutgers tomato. The next few years were spent winnowing the selections down until the final best contenders for the re-invented ‘Rutgers’ tomato crown would be bestowed. The summer of 2015 had the finalists narrowed down to three, and after conducting several consumer taste tests in various parts of New Jersey, the final selection was chosen. The timing of the release of this “retro” Rutgers tomato was serendipitous, as its debut in spring of 2016 coincided with Rutgers’ 250th anniversary. Thus the re-invented Rutgers tomato was dubbed the ‘Rutgers 250’ tomato. To satisfy the demand from tasty tomato lovers, the Rutgers 250 tomato was incorporated into Rutgers NJAES’ “Rediscover the Jersey Tomato” program, so that seeds, plants and tomatoes are available to consumers through various sources. Since the 2008 re-introduction of Ramapo tomato that was originally released by Rutgers NJAES in 1968 and was off the market for many years, the program has been bringing back seeds of classic varieties of old time tasty Jersey tomatoes that were grown between the 1930s – 70s. Seeds packets for ‘Rutgers 250’ and other classic Jersey tomato varieties are available year-round to home gardeners on the Rutgers NJAES tomato website and a listing of where to buy Rutgers 250 tomato plants is posted in the spring. See back issues of What’s in Season from the Garden State.